ManpowerGroup (NYSE: MAN), the leading global workforce solutions company, has been named one of Fortune Magazine's 2019 World's Most Admired Companies for the 17th time, receiving top scores for Social Responsibility and Global Competitiveness. MILWAUKEE, Dec. 10, 2018 /PRNewswire/ -- Positive Employment Outlooks are set to continue into 2019, with 43 of 44 countries planning to increase headcounts in Q1 according to the ManpowerGroup Employment Outlook Survey (NYSE: MAN). Positive hiring intentions span the globe with strong Outlooks from Japan to Taiwan, the U.S., Slovenia and Greece. Some European countries show signs of softening hiring intentions amid trade tensions and Brexit uncertainty. Modest Outlooks are reported in Germany, the Netherlands and the UK. Only one country – Argentina – is reporting a negative Outlook. Global hiring intentions have strengthened in 16 countries, remain constant in five and slowed in 23 year-over-year, according to the survey of more than 60,000 employers across 44 countries and territories. "We're seeing continued demand for skilled talent across the globe, as companies stay focused on business growth, especially in tight labor markets like the U.S.," said Jonas Prising, ManpowerGroup Chairman & CEO. "We see positive hiring too across Europe despite some caution in Northern Europe where Outlooks are more modest. This year headwinds including new governments, continued uncertainty around whether a Brexit deal might be reached and concerns relating to global trade appear to have led some employers to adopt a wait and see approach to hiring. We do know that technological disruption will continue at pace irrespective of political and economic uncertainty, so now is the time to equip people with the skills they need today, and those they will need to stay employable tomorrow." EMEA: Employers report positive Outlooks in all 26 countries surveyed in the EMEA region. Employers in Slovenia (+19%) and Greece (+18%) report the strongest Outlooks. Swiss employers continue to report the weakest hiring prospects in the region. Accustomed to uncertainty, UK employers remain optimistic for Q1 2019 reporting stable hiring plans when compared to the previous quarter (+6%). Employers in the Construction sector continue to report the most optimism (+9%) leading to concerns over talent shortages as Brexit negotiations continue. The Spanish labor market is set to soften in Q1 2019 as employers report an Outlook of +3%, a slight decline from the previous quarter. However, optimism is reported by employers in the Wholesale & Retail trade sector who expect the strongest hiring climate in 11 years (+10%). Manufacturing employers are reporting some of the most optimistic headcount increases for Q1 2019 in Hungary, Romania, Slovakia and Poland, driven by growth in the automotive industry. Americas: Headcounts are expected to grow in nine of the 10 countries surveyed. U.S. employers report the strongest hiring intentions in the region for the fifth consecutive quarter (+20%). The only negative Outlook in the survey is reported in Argentina (-2%). U.S. hiring pace is expected to hit a 12-year high in the new year as unemployment hits a 50-year low and the labor market continues to tighten. At +20%, employers are reporting a 16-point improvement compared to Q1 2010. Canada is seeing its strongest performing market since Q2 2008. More than half of the sectors show improvements with Transportation & Public Utilities and Manufacturing of Durables the best performers. Brazil leads the way in Latin America, with the strongest hiring intentions in four years, +8%, improving two percentage points year-on-year. The Agriculture, Fishing and Mining sector report the strongest Outlook year-over-year. Argentinian employers report the weakest hiring intentions since the survey began 12 years ago (-4%) as key industries such as Manufacturing and Transportation & Utilities contract. Asia Pacific: Employers in all eight countries and territories expect to increase headcount in the upcoming quarter. Hiring Outlooks are strongest in Japan (+27%) and Taiwan (+21%), with all countries in the region reporting positive hiring intentions. The Japanese economy continues to expand, and employers anticipate the strongest hiring pace in over 15 years (+27%). The Transport & Utilities sector leads this expansion with a bullish Outlook of +44%, improving +12 and +10 percentage points from Q4 2018 and Q1 2018 respectively. Chinese employers remain confident, reporting an Outlook of +10% for Q1 2019, and the Manufacturing Outlook remains unchanged (+8%). Largely unaffected by the 2008 financial crisis, China's economy has diversified over the last decade, indicative of the country's efforts to expand its production and export-led economy to a consumer one. To view complete results for the ManpowerGroup Employment Outlook Survey, visit www.manpowergroup.com/meos. The next survey will be released 12 March 2019 and will report hiring expectations for Q2 2019. To receive the latest survey results each quarter, sign up here. "Achieving parity in leadership positions is a top priority for our company so I'm delighted that some of our most inspirational leaders are being recognized on this list," said Jonas Prising, ManpowerGroup Chairman & CEO. "All of our leaders are committed to diversity and inclusion and attracting and promoting more women into our organization. We know that when we set ambitious representation goals we can deliver on them and really shift the needle. I'm proud to be celebrating our talented female leaders and the significant contribution they make to our business and this industry." "Around the globe the fight to increase female representation continues as women are outnumbered in leadership positions, boardrooms and the upper echelons of business. While women dominate the staffing industry at branch-level, this is not reflected in our C-suites," said Subadhra Sriram, Editor & Publisher, Media Products at SIA. "It continues to be essential that we recognize female leadership and call out the immensely important roles these women play in developing, driving and delivering solutions, work models and value for the industry. It is exciting to see the list grow this year to include more of the executives who are making things happen across the workforce solutions ecosystem." The ManpowerGroup Ireland team will be attending Ireland Right Place Right Time Event (hosted by IDA Ireland) in The Leadenhall Building in London on Wednesday the 10th of May 2017. There really is no better time to locate and scale your business in Ireland, so if you would like to find out more about talent availability, employment law and labour market trends drop by our stand and chat to the team. Check out the below video which highlights the key points about Ireland as a location for investment..
ManpowerGroup has been named one of America's Top Corporations for Women's Business Enterprises (WBEs) by the Women's Business Enterprise National Council (WBENC). We are proud to have earned a platinum distinction - the highest category - for the second year in a row as a result of our commitment to women-owned businesses. "We know diversity of people drives diversity of thought and improves business outcomes," said Michael Stull, Senior Vice President, Manpower North America. "Women make up more than half of the global workforce, so recognising the expertise and capabilities of Women Business Enterprises is part of our commitment to ensuring we tap all potential. This forms the foundation of ManpowerGroup's supplier diversity initiative. We are delighted to be recognised for the practical steps we are taking to promote diverse suppliers, including partnering with women-owned businesses." 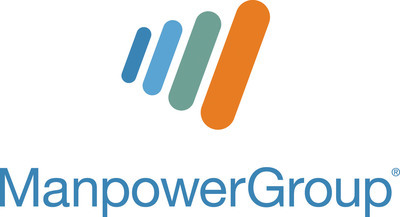 ManpowerGroup continues to advance its supplier diversity initiatives by launching innovative programs and engaging women-owned businesses in ways that truly add value. Our executive mentoring program matches high-potential diverse suppliers with top talent and our annual diversity roundtable helps develop more than 175 diverse suppliers in the workforce solutions industry each year. MILWAUKEE, Dec. 5, 2016 /PRNewswire/ -- ManpowerGroup (NYSE: MAN) has received a perfect score of 100 percent on the 2017 Corporate Equality Index (CEI), a national benchmarking survey and report on corporate policies and practices related to LGBT workplace equality. This is the second consecutive year the company has received a perfect score from the Human Rights Campaign Foundation. "We are proud to have our leading approach to diversity recognized with a Best Place to Work designation from the Human Rights Campaign," said Christopher Rowland, Global Diversity Officer, ManpowerGroup. "Doing well by doing good has been in our DNA for nearly 70 years and we make it our priority to enable all individuals to participate in the workplace and achieve their potential. We do this not just because it's the right thing to do, but because it makes business sense – organizations with inclusive cultures have higher customer satisfaction, greater productivity and higher profitability than those that are not inclusive." The 2017 CEI rated 1,043 businesses in the report, which evaluates LGBT-related policies and practices including non-discrimination workplace protections, domestic partner benefits, transgender-inclusive healthcare benefits, competency programs, and public engagement with the LGBT community. ManpowerGroup's efforts in satisfying all of the CEI's criteria results in a 100 percent ranking and the designation as a Best Place to Work for LGBT Equality. ManpowerGroup have been recognised as a 2016 World's Most Ethical Company for six consecutive years by the Ethisphere Institute, a global leader in defining and advancing the standards of ethical business practices. Sponsored the Eir Elevation Fast Company Awards. Watch the below video to see Cara O'Leary, Sales Director ManpowerGroup Ireland discusses the importance of fast growing companies to Ireland.